“Guadalupe the Musical,” which initially ran from September 28 to October 14 at the Meralco Theater last year, is coming back for a rerun this July at the Onstage Theater of Greenbelt 1. 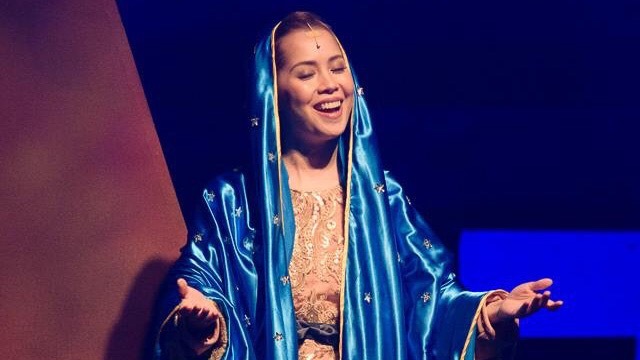 Directed by Baby Barredo, with book and lyrics by Joel Trinidad and music by Ejay Yatco, “Guadalupe” is an original musical based on the story of Our Lady of Guadalupe. The show is set in 1531, where a series of unexplained events in a newly conquered land then known as New Spain change the world forever. 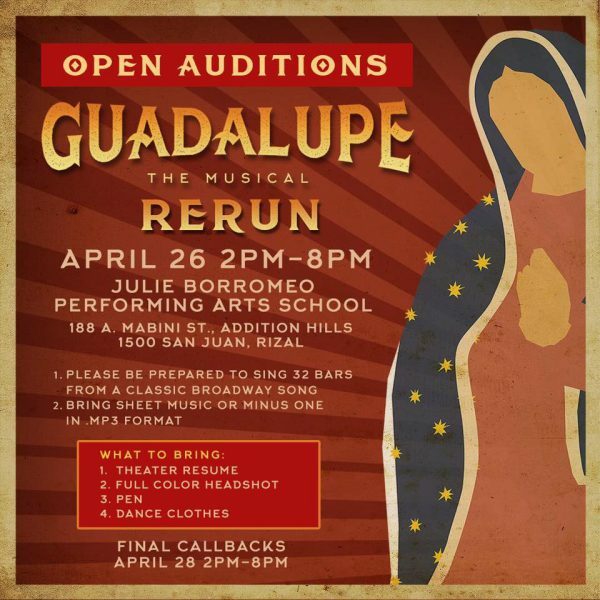 The company is holding open auditions on April 26, 2pm to 8pm at the Julie Borromeo Performing Arts School. Those who wish to audition must be prepared to sing 32 bars from a classic Broadway song and must bring sheet music or minus one in mp3 format. Final callbacks are on April 28 from 2pm to 8pm. Cast members who are set to return have yet to be announced. Further information such as show dates and ticketing information will be announced soon. Previous "Beautiful: The Carole King Musical" Full Cast Announced!